Are you on the lookout for some great spring cleaning tips? You are in the right place, as we know how important spring cleaning can be. We created a list with some of the most important tips and ideas for you to use. 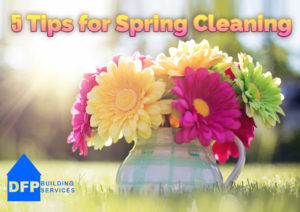 If you want to do spring cleaning the right way, don’t hesitate and check out these great tips, they will help make your cleaning experience faster and a lot more convenient than ever before. When it comes to windows, the spring cleaning tips are pretty simple. You have to wash them inside and out. A lot of people forget to wash the windows on the outside; they just care about the interior. The best thing you can do is a complete cleanup that goes both inside and out. Cleaning bathroom mildew and hard water scale can be done using eco friendly products without the need for harsh chemicals. To clean the shower head you would need to fill a bag with some white vinegar and then put it in and seal the bag. You should leave it to sit there for 1 hour or so, before you remove it. You will have to wash the shower head under clean water and then dry it with a soft cloth. If you want to clean the basin plug hole and the bath, you can also use vinegar. In this situation, a toothbrush will help make the process easier. Floors take a lot wear and tear and so to keep them in tip top condition and extend their longevity, you should deep clean your carpets and wax your wooden floors. Make sure that you clean up your home inside and out. Remove the items from your shelves and dust everywhere. If possible, you should clear the top of your kitchen units, where dust can accumulate. Removing dust also comes with health benefits as dust can cause allergies. A little bit of elbow grease and time and the results will be well worth it! Blinds and curtains are often overlooked for various reasons from either not knowing or having the time. So here’s a quick run down of what to do. First and foremost, check the label and follow the recommended washing instructions. You should also take them to a dry cleaner if they require this type of cleaning. What you want to do here is to wipe the curtains and blinds with a damp cloth to remove surface dust. To give them a good deep clean you wash them. If you do that, use a delicate washing cycle, not something too harsh. Remember, you do need to use these spring cleaning tips as soon as possible so that you can prepare for the cleaning process. In the end, the results can be great, and that’s exactly what you want to achieve.